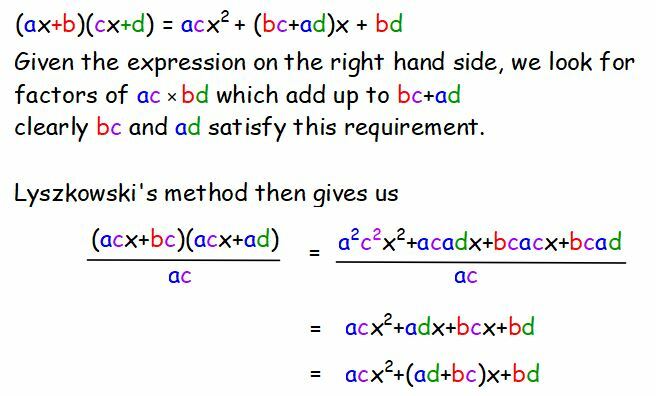 When factorising quadratic expressions do you check coefficients first? If the coefficient of x2 and the constant are prime for example you should be able to just write down the factorisation without needing an elaborate method. 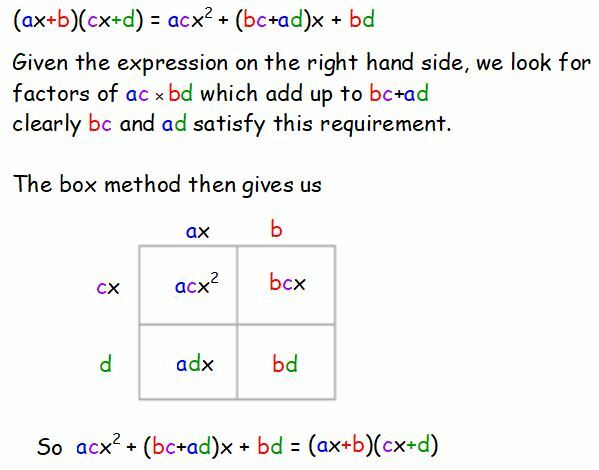 Some students have difficulty with the splitting the middle term method; you might like an alternative – try the box method. Working on Quadratic Grids from Underground Mathematics will help you develop and understand the method. 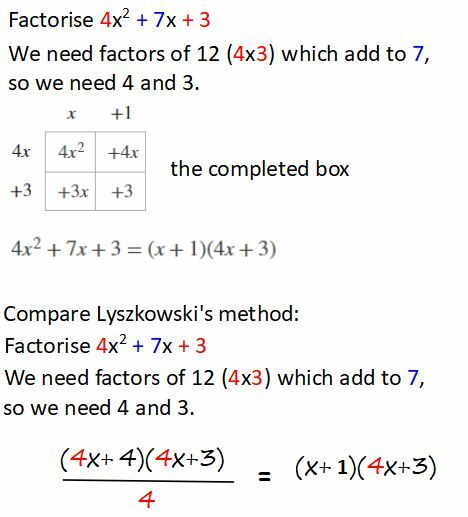 Have a look at this series of videos on Factorising Quadratic Expressions from Exam Solutions. You could try the examples given with the various methods presented. I would be interested to hear student views, which methods do you like?